About | All Around Dogs About | Thoughts on training and life with dogs. 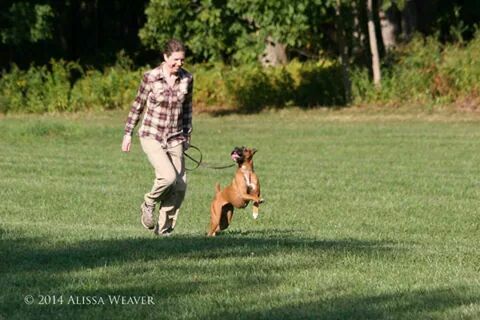 My name is Julia and I live in Windham, Maine with my two playful Boxers. I have trained or am training my dogs in obedience, agility, IPO, barn hunt, and weight pull. I enjoy exploring different dog sports and methods of training with my dogs. When I am not training or teaching classes, I’m thinking and writing about training and living with dogs. I talk about topics that apply to all aspects of dog ownership – training, behavior, health, and our relationship with our dogs. I have been accused, more than once, of making every conversation about dogs.